Well this is great news for cinema-goers everywhere. Their favourite macho vampire with ultra-humongous werewolves size are back on silver screen. This is the 3rd series from the saga.. Maybe lots of you already know bout the movie..although it being said as horror but actually it's not even horror.. It's a teenage romantic movie.. and i'm kinda not sure is it suits for me or not.. because i am 30+ of age and more into books (if the stories adapted from books). 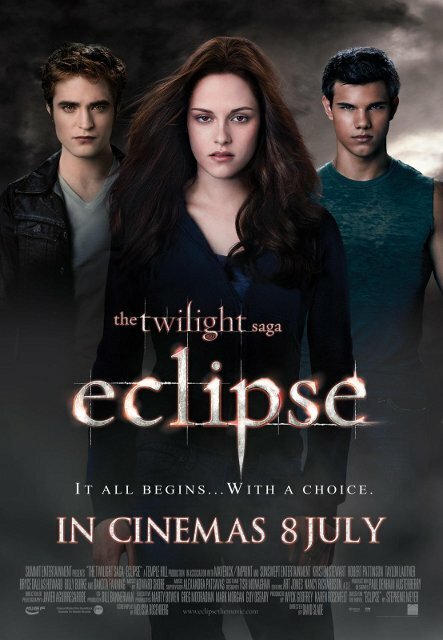 BTW, the twilight saga are memorable for me because it's being introduced by someone special in my life before. Maybe she can't wait to watch this. I can still remember how she wanted me to do all weird stuff and lastly i realized that it's all some of the moment from Twilight (first book/book). Well, sometimes maybe we can say we already forget it but the truth is, we can't even get rid the memories. From the silliest 2nd series, new moon (go read the book it's more fantasizing with imaginative line). The ending kinda "hanging" , it end when Edward proposed Bella to marry. The phenomena of Twilight also creating somekind of trendwagon like Edward group (The Vampire) and Jacob Group (The Werewolf). Lots of girls, leave their boyfriend just to find a guy pale like Edward and tough like Jacob hahaha (as if). Well, get a grip, everybody can be famous if they're a moviestar. What if Robert Pattinson is someone you can meet at "pasar malam" selling shoes or gado-gado, i bet all you girls will never fall for her.. hahaha. I got this info actually from Nuffnang... hmmm... i think i'm gonna watch it and hopefully there'll be another free ticket for Sabahan Bloggers like before.. watch free and get a chance towin prizes from The Bodyshop. 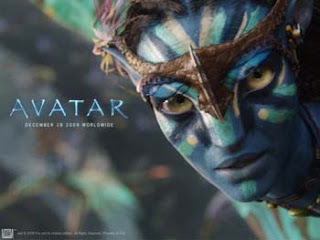 Ok guys well don't forget the latest Avatar 3D and lucky for us we have the latest 3D cinema here in Kota Kinabalu, GSC Suria. I expect great quality of picture will be shown here. I only like quality of CGI which new for all of us. If you all asking me the storyline for me i will say it "just ok". If you here in Malaysia don't forget to check the movie schedules here @ http://www.showtimes.my . It's a great online movie schedule for Malaysian. I don't know if the developer expand it into other country.